Thank you for visiting Joe Belanger Photography, creators of the very special Memories with Style video albums. Please feel free to surf our site as it contains many unique images for your enjoyment and services that will fit your needs. We have a special fine arts gallery that contains a selection of not only vivid wild flowers but some of our unique and mind-boggling underwater images from around the world. Moreover, if you are a business owner looking for imagery assistance to enhance and promote your business, be sure to check out the “Corporate Photography” section, where we offer photography assistance in addition to our unique “Marketing in Motion” multimedia shows. 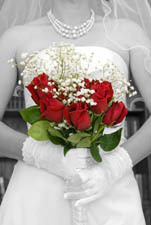 Full day wedding photography services. Corporate Photography services, helping you stand out in your market.